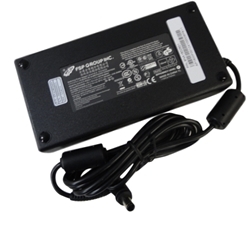 Description: New genuine Acer Aspire desktop & all in one ac adapter power cord. This adapter comes with a power cord and only works with the models listed below. Compatible Part #'s: AP.1800F.001, FSP180-ABAN1, 9NA1802601, 0432-01HT0PB. Acer Aspire 7600U, Z3170, Z3171, Z3770, Z3771, Z5770, Z5771, ZS600. Acer Veriton Z4621, Z4621G, Z4630, Z4630G.